Home » What is an Inverter Generator? 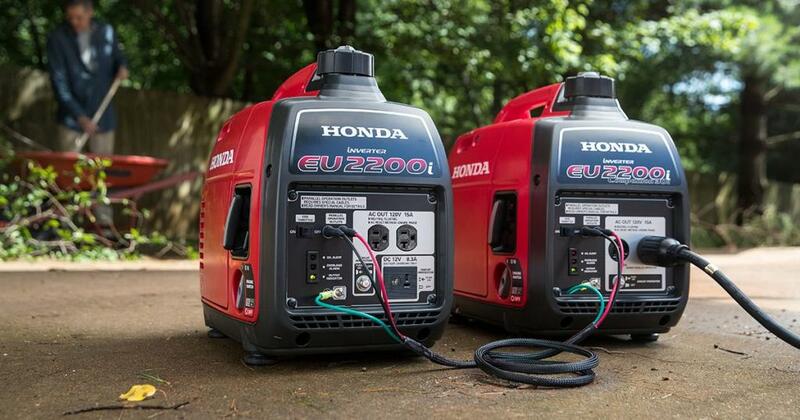 A couple of years ago when Honda released first generators equipped with the inverter technology, I had the same question in my mind – what is an inverter generator? What are the actual differences between them and conventional generators? After learning more about inverter generators I can honestly tell you – they are worth their price tag. Let me explain to you how they work. Step 1. The raw AC (alternate current) energy produced by the engine of the generator is converted to the DC (direct current) power. Step 2. The built-in electronic inverter converts it again back to the AC power rated at the standard US rate of 120V and 60Hz. Result: This kind of inverted AC power is much more stable than in the case of conventional generators. Since it is delivered in steady sine waves, it creates less harmonic distortion and can be safely used to power sensitive devices such as laptops or medical equipment. The following graph explains the difference between the AC electricity delivered by conventional generators and the “cleaner” power provided by inverter generators. As you can see in case of the conventional generators the AC current is really “unsteady”. These deviations from the regular sine wave are known as harmonic distortion. The total amount of these occurring while the generator’s engine is on is known as THD – Total Harmonic Distortion. But is THD a really big thing and a potential cause for worries when it comes to the safety of your electrical equipment? In fact – yes, it is. How does THD affect the safety of your electric equipment? Quite a lot of old school electrical appliances can handle higher levels of THD pretty well. All in all things like drills, electric saws and a lot of other electrical equipment used at work and home were designed in the times when the electricity grids were much less technologically sophisticated than today. Those appliances can generally work safely even with the relatively high total harmonic distortions. By saying “high” we should define here what is basically defined as “clean energy” – the type of power which can be safely used also with more sensitive hi-tech electronics. Engineers generally agree on 3% THD as the maximum threshold for the power to be classified as clean. Modern electric grid power in the US operates for the vast majority of time below this threshold. This is one of the reasons why you should probably never be afraid of charging your laptop via a wall socket. That is simply because you are nearly guaranteed that it won’t damage your electronics (although rare exceptions happen). This is the problem with most of the traditional portable generators. Their THD levels can be as high as 9% which makes them unsuitable for powering the hi-tech electronics. Since those devices were designed in contemporary times, they also require steady streams of modern clean power to keep them in good condition for a long time and prevent any damage. In other words – you should not use a typical portable generator such as the ones you can see on construction sites to power your beloved state of art TV, computers, medical devices or other modern gadgets. However, inverter generators are perfectly fine! This is where the inverter generators come into play and provide the great working solution. Their THD is usually well below 3%, often as low as 1% – just like in case of grid power. You can therefore safely use them to power all kinds of electronic equipment without worries. Provision of clean power is one obvious advantage of inverters. On top of that, there are a few more things which make this technology pretty awesome and suitable for a variety of uses. 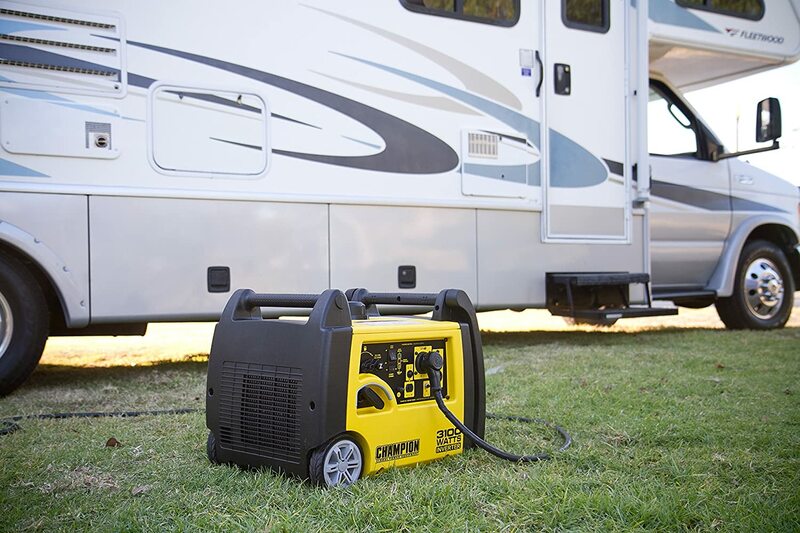 Both inverters and old school portable generators need gas or other types of fuels such as propane to run. As soon as you turn on the traditional generator, its engine will start running at a continuous speed of approx 3600RPM. This is the required amount to generate the 120V 60Hz electricity suitable for the US standards. No matter if you plug in just one or four different appliances, the engine will maintain the same exact speed. As you can probably realize by now, this can quickly result in the unnecessary waste of fuel in case you need to only power one specific device. The fuel consumption will still remain unnecessary high and you’ll need to refuel the generator sooner. This issue does not exist in modern inverter generators. Their engines have been designed in such way that they do not have to operate at the same exact speed all the time. For example, Honda – the original inventor of the inverter generators – has patented the so-called Eco-Throttle technology which allows them to adjust the engine workload to the actual energy needs. As a result, they have lower fuel consumption and can last longer. Inverter generators not only produce the so-called “clean power”. They are also literally cleaner in the way that they produce significantly lesser exhaust fumes. This makes them a really great choice for campers or RV owners who don’t want to feel the smell of burning petrol while enjoying the great outdoors. However, it is still not recommended to use them indoors. 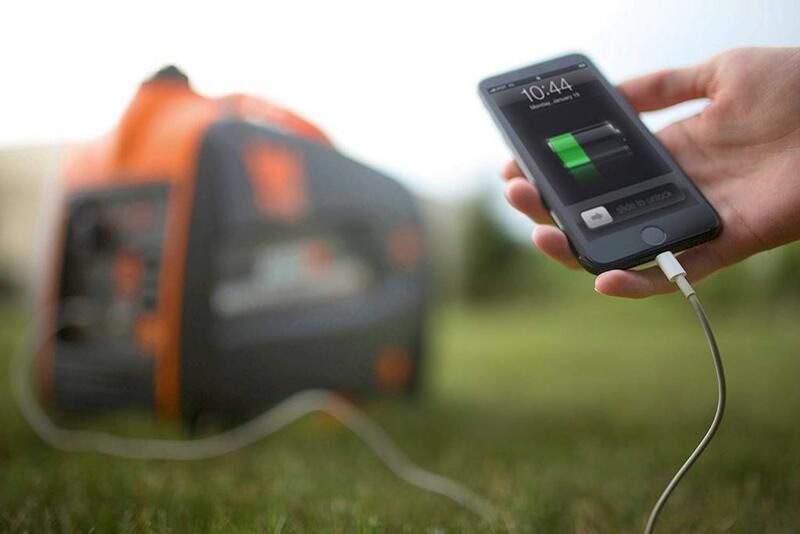 Portable solar generators are so far the only available 100% true clean solution for indoor use. 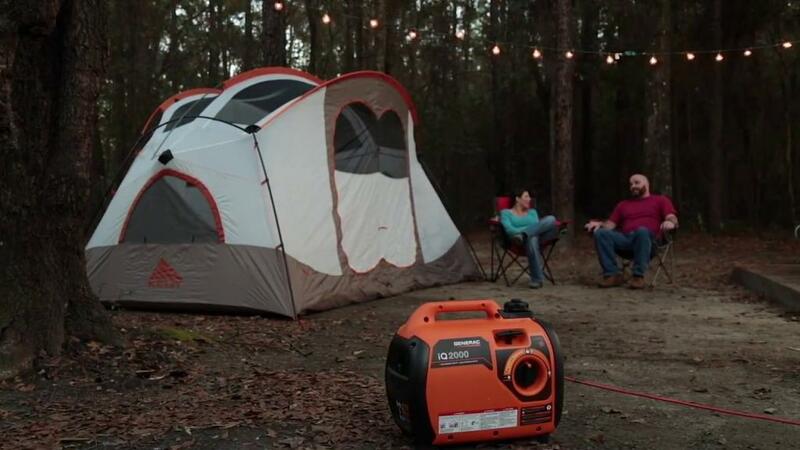 Nobody likes the noise made by portable generators. 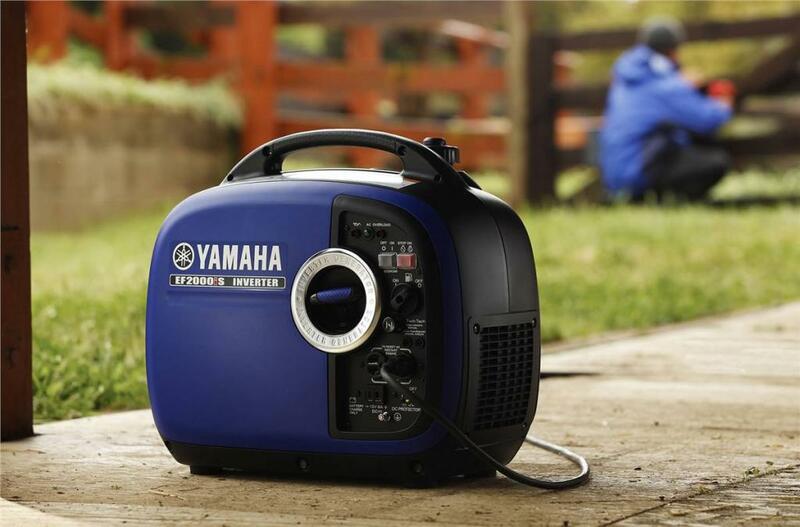 The sound of a typical 3000 watt portable generator while not a major nuisance at a construction site can be a real nightmare for a camper or a busking musician. Inverter generators are fortunately usually much quieter than then traditional generators. Some of the models presented in this article operate in the 50dB range. This is quiet enough to allow for people standing right next to the generator to have a normal conversation. One issue some people might have with inverter generators is that they usually run in the 2000-3000 wattage range which is not enough to power multiple large appliances. However, the parallel capability allows you to connect two inverters to each other to double their total power output. Simple as that! However, for this to work you need to ensure that both inverters operate with the same running wattage. To be totally on the safe side we recommend you to simply purchase the exact same models from one manufacturer. This will ensure 100% compatibility and guaranteed results. Forget the large bulky generators which require the strength of a thousand men to move them around. Inverter generators, especially the smaller models can be easily carried in one hand. This makes them an excellent choice for situations where you frequently need to change their location. Camping is one such obvious case and so are a lot of jobsites. Larger inverter generators are a bit heavier but still not too heavy to require a lot of effort on your side. For example, Champion 7553i (a really good inverter for RV) comes with built-in wheels and a folding handle which makes it easy to pull along.